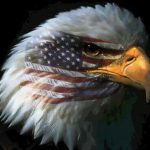 The David Horowitz Freedom Center has completed a comprehensive update and reorganization of StopK12Indoctrination.org, a website devoted to halting indoctrination in America’s public schools. The site exposes instances of classroom and curricular indoctrination across the United States and seeks to work with parents and legislators to enact a Code of Ethics for K-12 Public School Teachers in their states. Our public schools have traditionally been the cornerstone of our country’s democratic values, but no longer. 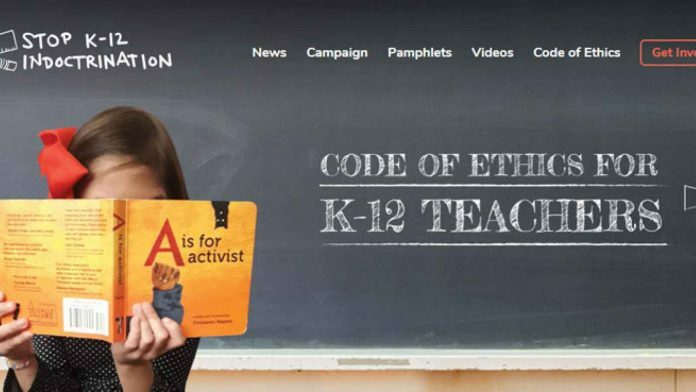 As recent events documented on StopK12Indoctrination.org reveal, no age group and no corner of our K-12 classrooms are immune from the left’s ideological aggression. • At the Edina School District in Edina, Minnesota, all employees, even bus drivers, must take “Equity and Racial Justice Training” instructing them that “dismantling white privilege” is at the core of the district’s mission. They must acknowledge their racial guilt, and embrace the district’s “equity” ideology. These are just a few of the outrageous instances of indoctrination—affecting students as young as five years old—which are documented on StopK12Indoctrination.org. The centerpiece of the website is the Code of Ethics for K-12 Teachers, a legislative proposal that would forbid public school teachers from using their classrooms for political, ideological, or religious advocacy. Teachers in violation of the Code would be subject to penalties such as probation, suspension and loss of their teaching licenses. A new feature of the website solicits volunteers to call or email their state legislators to encourage them to introduce legislation adopting the Code of Ethics in their states. Legislators in Virginia have already taken up this challenge, and we expect many more to follow. 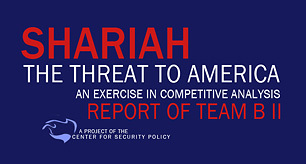 The site also includes three recent pamphlets published by the Freedom Center and devoted to the crisis in our nation’s schools: Leftist Indoctrination in Our K-12 Public Schools, Shame of the Schools: How the Democrats Have Destroyed Public Education in the Inner Cities, and Readin’, Writin’, and Jihadin’: The Islamization of American Public Schools. Visitors to the site may also sign-up to receive weekly email newsletters highlighting the latest examples of the left’s incursion into our children’s classrooms or report instances of indoctrination in their own schools.